UTILIZING THE BEST 3D SCANNING EQUIPMENT FOR OUR CLIENTS WITHIN THE GREAT STATE OF TEXAS! Let us Guess why you're here! You need to determine causality for a vehicular crash? You need reliable and comprehensive testimony to hold up in court? You Need accurate collection, gathering, and documentation of vehicular crash scenes? You Need to partner with a dependable firm that can supply you with 3D scanning capabilities? you are a crash reconstruction service potentially looking to partner with a firm like ours? Sound like you? You've come to the right place. White Chapel Founders, Southlake, Texas. Triple “R” Investigations (@TRInvestigations) is located in the heart of the Dallas/Fort Worth Area, serving insurance companies, litigation firms, law enforcement agencies, and prospective partners in documenting buildings, scenes, and vehicles across the Great State of Texas! As an 3D documentation firm, we work diligently to provide high-quality, professional 3D representation services which are bound to prove causality when you need the truth discovered or reinforced—safely and accurately! Utilizing the best 3D scanning technology, @TRInvestigations is a premier provider of precise laser scanning for a variety of complex inspection and analysis projects. What is 3D Laser Scanning for Crash Reconstruction? A 3D laser scanner captures precise data at high speed over its full measurement range and is less susceptible to variations in surface types and atmospheric conditions. To colorize scans, an integrated camera can quickly take full field-of-view High-Definition Resolution (HDR) images. 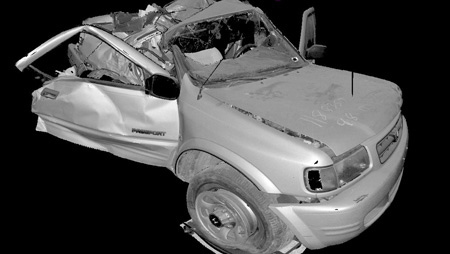 After scanning and gathering data at a crash scene, users utilize a point-cloud modeling software to register, visualize, explore and manipulate “as-built” data collected from the 3D laser scanner. 3D laser scanning provides a low-cost, effective, and efficient method for gathering, modeling and detailing crash scenes and provides the ease of mind for capturing accurate data! Wonder how to annotate FARO scenes? Take a moment to watch this short 7:11 min video. Stay up to date with what’s happening in the industry! Here’s the latest from The Texas Investigator. A minimum, non-refundable, retainer is required prior to any work being initiated and is due immediately upon signing an agreement for services with Triple "R" Investigations. This investment includes eight (8) 3D laser scannings of a scene. The retainer will be credited against the final bill. Additional scans after the eight scans will be charged at a rate of $175.00 per scan. Through a creative and digital process called animation or fly thru simulation, we transform static images into 3D videos to represent an event. This process is billed per hour. Additional pricing for services such as modeling, scene measuring, scene annotation can be estimated per incident. Have a need for crash reconstruction services more than once a month. Let's make an arrangement where we can build upon our business relationship over time with a monthly contract. R. Ryan Rider, is the Owner and Operator of Triple "R" Investigations. 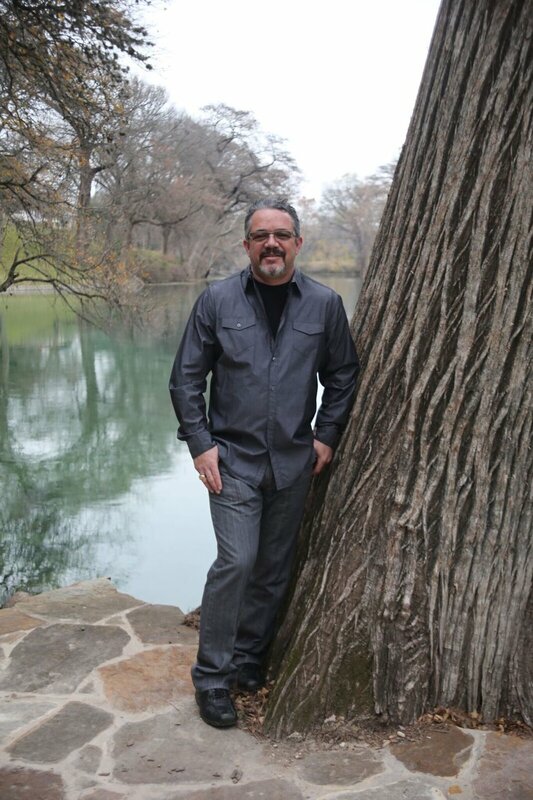 Pursuing a tenured career in law enforcement with over 21 years of experience in a north Texas municipality, Rider has redeemed his life-long desire to develop a strong, professional foundation in helping people, preserving a quality of life, and committing to the public's safety at large. In addition to Rider's roles as Detective, Patrol Corporal, and Community Resource Officer, he had filled the role of Traffic Officer. Those positions have placed Rider in a position to execute a timely and accurate representation of vehicular crashes. He was a key part in obtaining a JAG grant for several area police departments for the purchase of a 3D laser scanner. In total, his experience has laid the foundation for a successful career in crash and private investigations. Rider has been involved in a number of community activities, has a wide variety of certifications, including a FARO certification instructor, and recently added a Graduate Degree in Criminal Justice to his repertoire. Rider has been married to the love of his life, Karan, for 30 years. They have 1 child together. Ryan Rider not only stands ready to serve you. He is capable of providing the caliber of service you need -- when you need it. No matter what, we will always serve in a way that truly impacts the customer. LIKE WHAT YOU’VE READ? GIVE US A SHOT! AND SEE WHY ALL OF OUR CLIENTS PARTNER WITH US FOR THE LONG-RUN! To submit your case, fill out this form. We’re as ready as you are to see your project through!